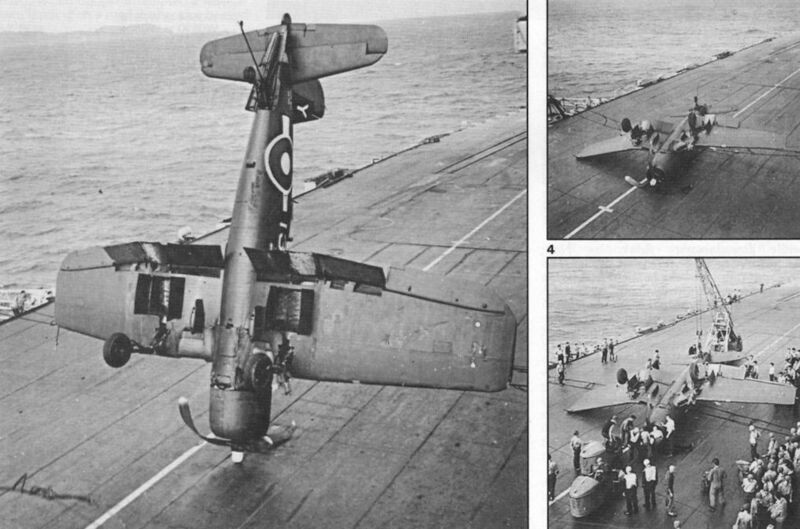 Corsair 132 of 1831 Sqn poised momentarily on its nose after missing the arrester wire and hitting the top of the first barrier - an excellent example of how the barrier functioned. The pilot, probably Lt McKinnon, suffered a bad head wound after having to release his harness quickly while sitting inverted. 806 Sqn CO Lt Cdr “Pop" Warner going over the side after hitting the round-down in his Seafire, follow­ing a far-too-low approach. The damaged and uncontrollable air­craft sank immediately, killing Warner. He was the second CO to be killed in a matter of weeks. 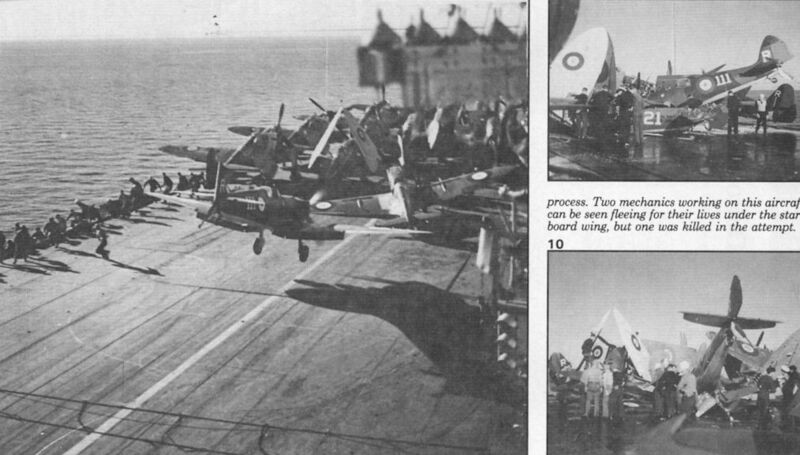 The first was Lt Cdr “Tiger” Bates of 837 Sqn in a simulated dive-bombing attack on HMS Jamaica. The replacement CO of 806 Squadron about to crash into the forward aircraft park. 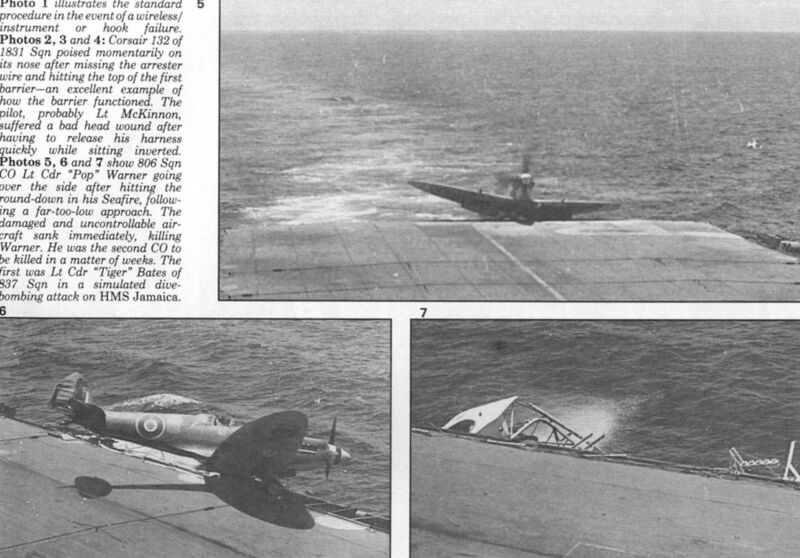 His Seafire III has made a heavy landing, bounced over the safety barriers and is about to crash into Seafire 121, which has just landed and lost an undercarriage leg in the process. Two mechanics working on this aircraft can be seen fleeing for their lives under the star­board wing, but one was killed in the attempt.